The competition is only open for Post-Graduation Management Students. It is mandatory for each participant to bring along his/her college Id-Card. 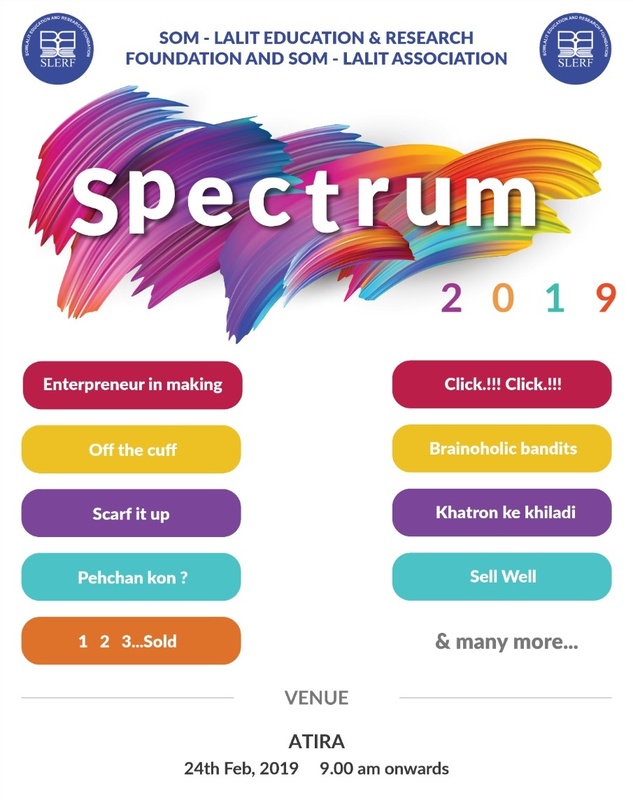 It is imperative that the entries reach us latest by 22nd Feb 2019.
for Entrepreneur in Making Event, the entries reach us latest by 21st Feb 2019. The Plans for Entrepreneur in Making are to be sent to respective Co-Coordinators. Participants must report latest by 8:30am. In case of participant getting late for the event, organizers will not be responsible for any changes. Participant will be disqualified if they misbehave or use any offensive materials. In that advertisement they have to say the tagline of that brand. Only registered entries will be allowed. Each round will be of 8 minutes. And final round will be of 10 minutes. Topics will be given to you in advance. You will have to pick a chit from those topics and present on it. 5 participants will be selected for the final round. Here you will be given a topic in the spot. You will be given 5 minutes time for preparation. Then you will have to present it. Welcome to the thrill of a live auction! Put yourself in the shoes of a bidder to build the dream team that you always wanted in these racy hours of nerves, finance management, strategy, game theory and gut. If you love cricket, if you are finance person, if you have followed IPL and if you can mix common sense with passion into your bidding strategy, this event is a must for you. Each team will acquire 80 crores virtual money for the auction. A minimum 12 players and maximum 15 players should be there in the team or else the team will be disqualified. An expenditure of minimum 60 crores is a must per team. Maximum waiting time for bidding of players would be 10-15 seconds. If none of them calls for a bid of a particular player then the player remain unsold. No other round would be conducted for unsold player. Each player should have their own credits. The team having the maximum sum of credits of its players would win this auction. If two teams having same credit then in that case the team having larger amount of money left with them would be the winner. Management decision is final decision. The data of the credits held by each player would be provided two days before the event through mail. Time for 1 Question will be 30 seconds per group. 60 points had to be given in advance to all the groups individually. Each Group who will be registering in quiz will have to pass through elimination round to reach to 2nd round which will held on the same 24th of February. Elimination round will consist of 20 questions, in which the top five groups will be selected for the next round. Each group has to identify 3 logos of well-known companies all over the world. Each correct answer will give them 10 points and no answer will deduct 5 points from them. If the 1st group is not able to give answers to any one of the logo questions, the advantage of that logo goes to 2nd number of group and same for the 3rd. In this round, 5groups will have to answer companies’ names as per hints given to them. For each correct answer group will get 20 points and for no answer 10 points will be deducted from it. And if 1st group fails to answer the 2nd group will have an advantage to answer the question and same for the third one. In this round 5groupsare to identify 3 personalities individually from the corporate world as per questions asked to them, For Examples (CEO or Founder) of the company. Each group will get 30 marks per answer and no answer will cost them 15 points deduction. And another group who gave that answer will get 60 points. At the end group with the highest points will win the game. And if tie happens the group who had seek the points of other groups which were not taken by the original group will win. The entries reach us latest by 18th Feb 2019. Have a strategic marketing plan in place. Make it adaptable based on your audience. Explain your business plan and why you care. No already established business ideas will be entertained. The contestants whose plans get selected will be reverted by 22nd feb.
You can also use digital media to explain your plan. This round will be given on the spot. Participant can’t get help of others for this. Mobile phone is strictly not allowed. When demand changes then the participant have to return all his things which he had purchased from the shop for previous demand (participant can’t use same material for new demand) and also for that he can’t get the refund of money. One team can sell his product only for one time to meet a particular demand. Participants have to complete his product or shopping in the allotted time. In starting, we will give 200Rs money to every group (Duplicate). Then time by time we will create demand for some product like Boat, Chinese Fan, and Aeroplane etc. To make this product we provide them raw materials like paper, stapler, gum, cello tape but for purchasing the same, they have to visit our shop and buy the material at the price as stated by us at that time from the duplicate money given to them. They have to make their product and earn money from selling them. But they can sell only that product which is on demand at that point. At a time, only 1 product can be on demand. Whichever team have maximum money at end is the winner. Memory card should be blank and should be submitted before and after the event. The participants shall click 3 photos related to the theme and submit before time. No photos of individual of group will be taken. One of the two participants will be blindfolded. The other one will be the guiding person. The guide directs the blindfolded person in building a block castle. The team, who does it patiently showing efficient communication and directing skills, wins.